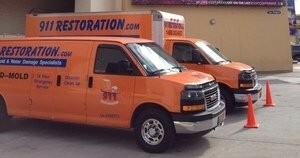 The water damage Spring team at 911 Restoration Houston is here for you if you need restoration services. Whether it be flash flooding, roof leak, or a pipe burst, count on us to dispense to you a solution you can rely on. We value extraordinary customer service and professionalism, and we understand what you are going through. A team that is available 24/7/365. You deserve peace of mind with a fresh start, and that is what we aim to give to every homeowner in Houston. The IICRC certification we undergo makes us equipped to properly assess the area, so that the care you receive is right for you. If you need restoration service from a certified, licensed, bonded, and insured technicians, then call 911 Restoration, today! Pipe bursts are a frequently occurring accidents in older homes like many of the ones found in Spring. This is due to the lack of PVC that makes up the plumbing of newer homes. When a burst occurs it needs to be addressed quickly before more damage happens, or if a flood were to be generated. 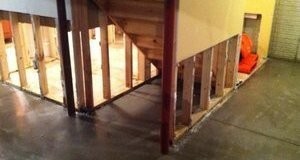 This is why our water damage Spring team recommends first turning off the water line to the home. This simple step is a great solution to saving yourself time and money. After that, call 911 Restoration immediately so that we can handle your pipe burst. With years of experience as industry leaders, you can be sure we will solve your problems. Cleaning gutters and downspouts can prevent many instances of water damage in homes and businesses. Trimming the trees around your property can help to prevent dead limbs from impaling your roof during storms. Pointing downspouts away from your foundation will help to avoid liquefaction. Having a restoration expert inspect your property will help to find any trouble spots that may create water damage down the road. See, water is formless, so it can soak into every square inch. For example, if you have a pipe burst next to a brick wall, then the water will go into that because the material is porous. Once there it can seep and spread to other areas. Nonetheless, that is something we are trained to handle. Using advanced restoration technology like infrared cameras, and dehumidifiers, lets us locate trapped moisture. Once identified, we create air tight lines that give it the attention that the area demands. It removes water and keeps accidents like mold infestations from taking hold. For the expert care you need, for a fresh start, call us at 911 Restoration today! Preventative maintenance to avoid water damage ranges from small inspections to wide renovations. Some of these steps are cheaper than others, but they all work in favor of keeping your home pristine. More importantly, it can keep your peace of mind intact, so that you can rest easy knowing that everything is going to be alright. Remove old cast iron pipes with PVC piping. Steps like these go a long way in not only preventing future pipe bursts. During the winter, the temperature of your home may go below freezing. This is when you are at the highest risk for a pipe burst. As most major artery of pipes is found in your basement, then insulating this area will keep the room at a higher temperature, and it will lower the heating cost, so feel free to keep that thermostat higher than you would like. Moreover, pipes run elsewhere in your home such as in cabinets and outdoors. 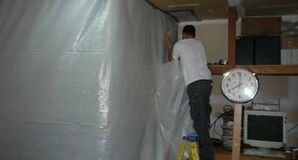 These areas that would benefit from an insulating sleeve than you can purchase at any home improvement store. Now digging out your old pipes, and replacing it with new ones is a renovation job that is costly and expensive. However, if a burst were to happen, then this would need to take place anyways. That is a choice left to homeowners, but if an accident happens we will be there. Everyone deserves a second chance after a water incident, so call our water damage Spring team with 911 Restoration Houston for yours so you can get back to normal today!